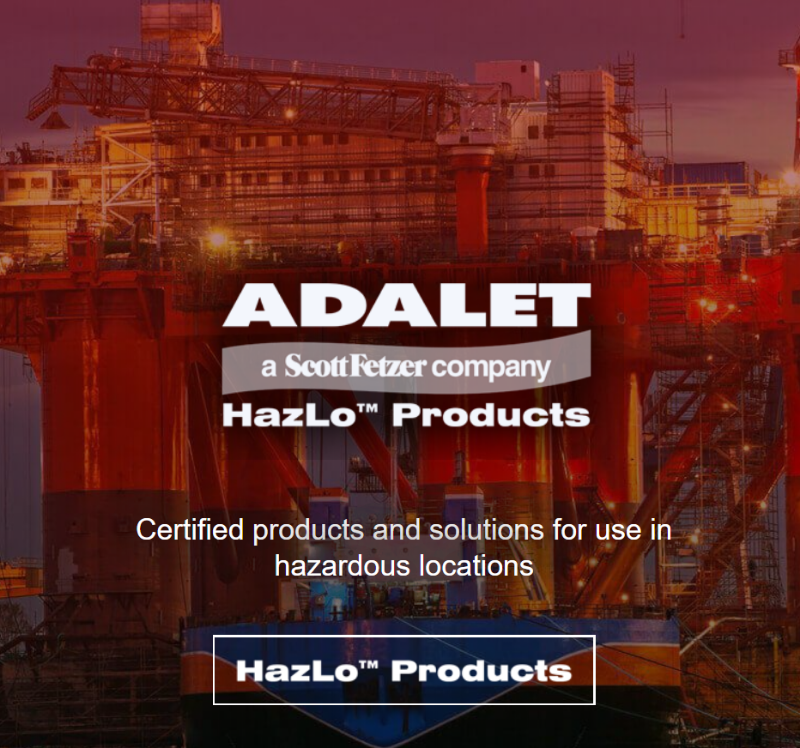 For more than 92 years Adalet, a Scott Fetzer Company, has been an industry leader in the development and manufacturing of enclosure systems and cable accessories. Established in 1926 to manufacture conduit and cable fittings, Adalet today offers the most extensive line of enclosures and fittings to the hazardous and rugged industrial markets. Our engineered enclosure systems include empty and populated explosion proof and stainless steel junction boxes, motor control enclosures, meter and instrument housings, and ‘Exe’ increased safety terminal and control enclosures. The Adalet product line also includes thermal management systems, pilot devices, conduit and cable accessories, high voltage cable couplers, and other related electrical products for industry. These products are suitable for NEMA type 1 through NEMA type 13 applications. 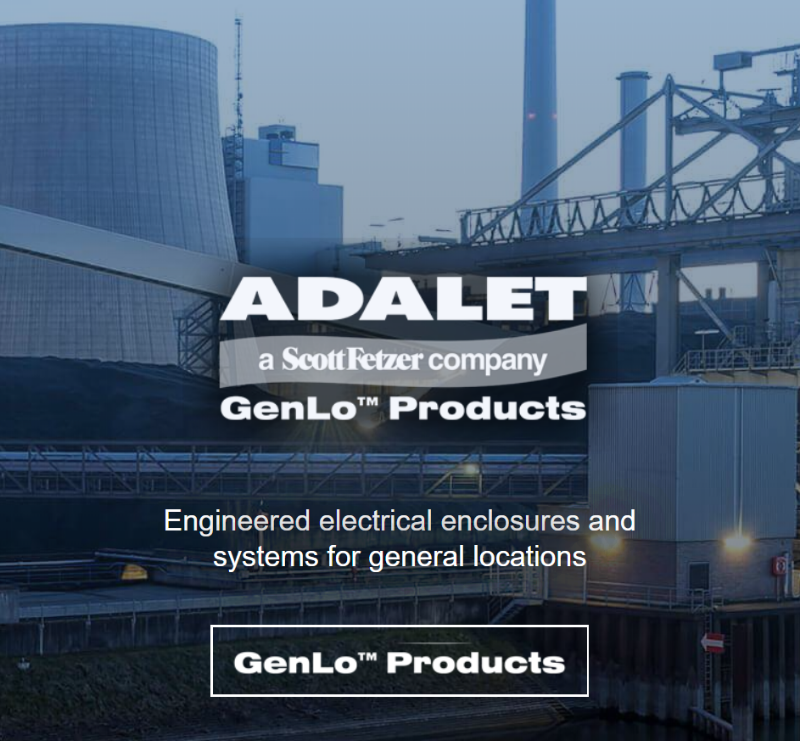 Adalet’s sales and application engineers have decades of specialized electrical enclosure experience, and are ready to solve your unique custom enclosure application requirements. Our engineering department is unsurpassed and on the edge of technology using the most up-to-date computer aided design software. Software applications such as Solid Edge, Solid Works, Inventor, AutoCAD, and FeMap/NX-Nastran FEA help us focus on custom product development and innovative engineering. Adalet’s 120,000 sq. ft. manufacturing facility houses its own cast aluminum foundry and pattern shop which provides quality castings for our state-of-the-art CNC machining and turning centers. With the continuing acquisition of this state-of-the-art equipment, our manufacturing department has become the epitome of efficiency keeping quick deliveries a high priority. We pride ourselves on our quality and workmanship and with our manufacturing facility being ISO 9001 certified, we can assure you your product will be made right the first time. Our Houston, TX location provides an additional 19,000 square feet of inventory and light assembly to service our Gulf Coast partners. Our Cardington, OH location houses our General Locations division which offers enclosures constructed from stainless steel, fiberglass, and polycarbonate material.